We are starting our 2nd year of building in No. 2 Canyon. Motorized equipment is on the trail network. Trail work is happening though out the Canyon please respect all trail closer signs. 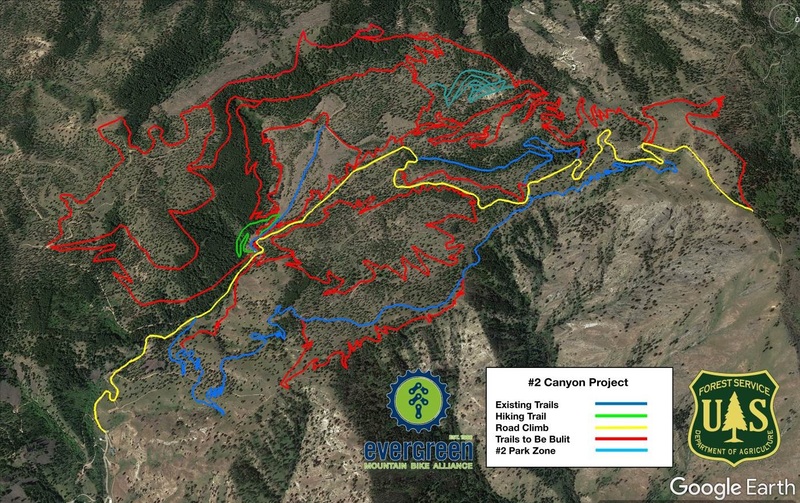 2018 our community helped build 8 miles of new trails. We plan to build 5 miles of new trail in 2019. Join a work party or donate to make this project happen faster. Freeze/thaw Cycle Spring has arrived, bike season is just around the corner and we know people are itching to get out hiking and riding bikes, but please stay off trails that are snow covered or wet. Using wet trails in Central Washington create a lot of damage to our trails. Variable Stairway has melted out. Please stay off wet/muddy trails.